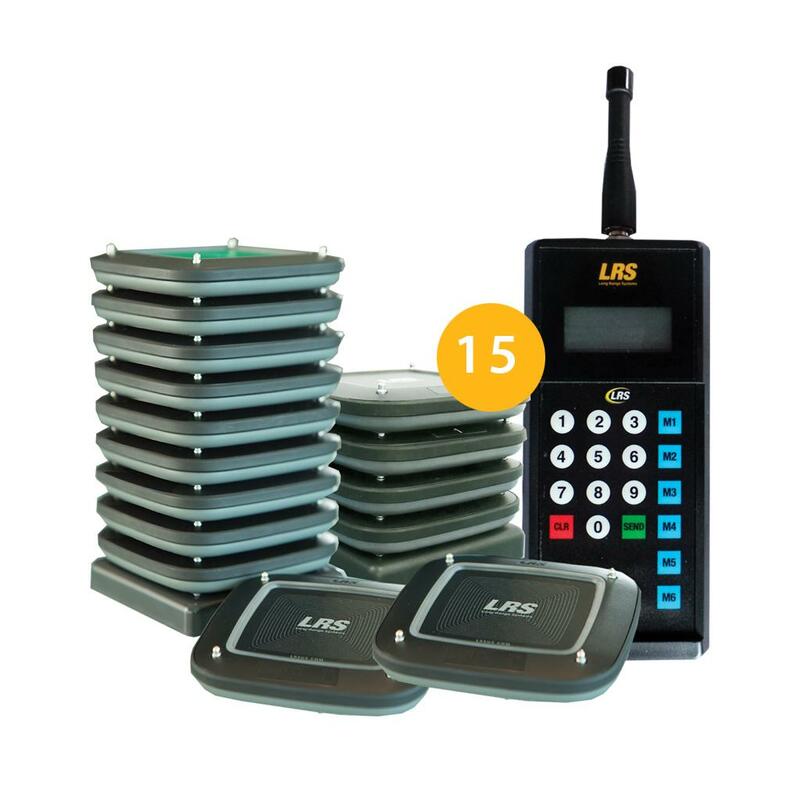 The LRS guest paging system for RENT includes 15 Guest Pager CS6 units and LRS' guest transmitter. Often used to alert waiting customers in restaurants, retail shops, service shops, beauty salons, doctors offices, and others. LRS Guest Pager CS6 discreetly alert customers with a buzz and flashing lights when service is ready, giving customers certainty they'll be notified when service is ready or finished, and giving them the freedom to roam or continue shopping. The Guest Pager CS6 is a digitally developed pager. Offered in one brightly illuminated LED light colour - red. And, the vibration may be configured to buzz in various modes like flash, glow, and continuous. Hire for just £59.00 Per MONTH. Please note terms apply. Includes: (15) LRS Guest Pager CS6 pagers numbered 1-15 (RX-CS6), (1) Guest Transmitter (TX-9560MT), (1) Charging Base (CH-R8-15), (2) Power Supplies. No installation required, simple DIY set-up but we fully configure the system before you receive it. Great support direct from our UK office. Exclusions: Not applicable outside of the UK due to frequency channel regulations. International sales requests outside of the UK are handled directly by LRS at www.lrsus.com. Restrictions: All online RENTAL orders are restricted for purchase and use within the UK only. LRS is not responsible for any product purchased via the web for use outside of the UK, warranty is voided for any product used outside of the UK.